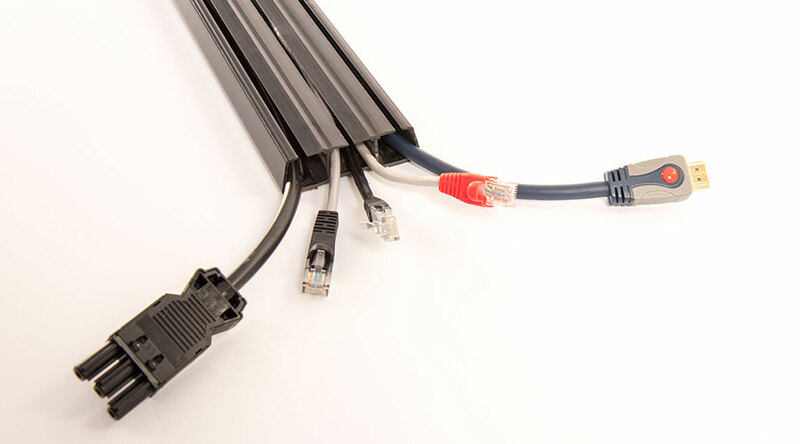 Three compartment dual rigidity trunking allowing easy installation of cabling by ‘wiping in’ through the soft plastic covers. Provides the necessary segregation of power and data/telecom cables required by BS6396. Self-adhesive backing for attaching to smooth surfaces. 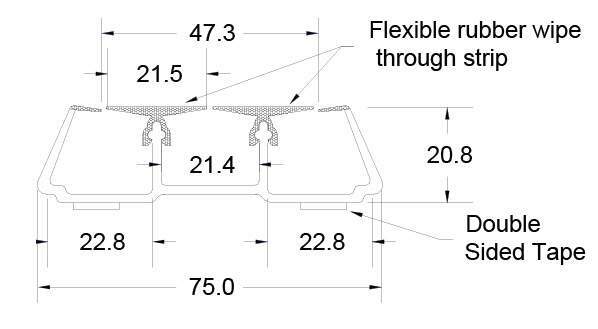 May also be screw mounted for additional security.